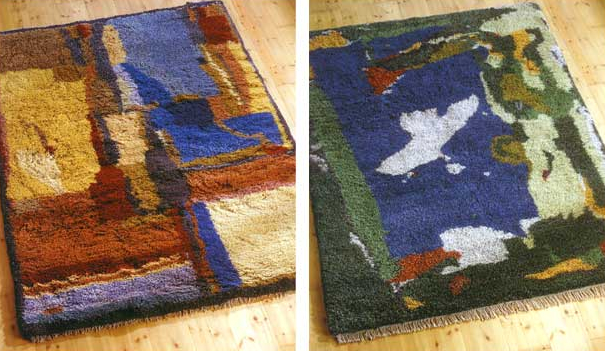 A Rya tapestry is similar in nature to a knotted Persian carpet. It is comprised of woven rows of weft alternating with rows of knotted yarn. The rya knots are spaced farther apart than those in a Persian carpet and are much larger and longer.